The Historic Downtown Promotions Committee announces their “Wrap up the Season” shop local campaign which will take place on Thursday, December 20th from 5 p.m. to 8 p.m. Participating retailers, restaurants and cafés, and bars will be staying open after hours for last minute shoppers to get their holiday gifts! Do you need a place to get your gifts wrapped too? Students from Henry A. Coffeen School will be raising funds to go to Yellowstone National Park next year. They will be wrapping gifts at the previous location of Cottonwood Kitchen, 129 N. Main Street. A big thank you to the 3rd Thursday Street Festival for sponsoring this shop local campaign. 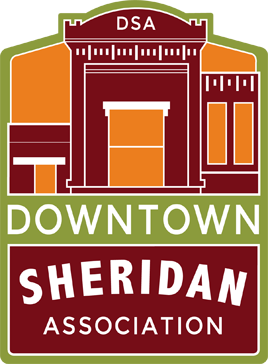 Bundle up, pack up the family, and head to Downtown Sheridan on Thursday December 20th. For more information and a list of participating businesses please go to Downtown Sheridan Association’s Facebook or visit our “Wrap up the Season” events page! ← Hunting for Bucks Week 4 & Grand Prize Winners!